Lima native, Dr. April Shattuck, graduated from The Ohio State College of Veterinary Medicine in 2004. 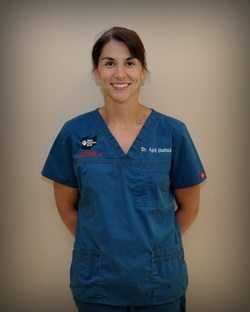 In her more than 10 years of practice, Dr. April has gained valuable experience in small animal medicine and surgery, large animal medicine and emergency medicine. 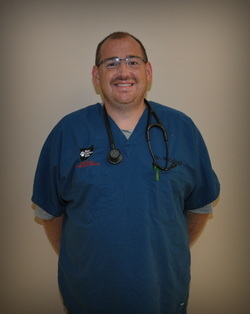 In August 2012, Dr. April made the leap into emergency medicine full-time by joining the West Central Ohio Veterinary Emergency Services. She has loved being part of an incredible service and veterinary team. Dr. April enjoys sharing her knowledge to the community by visiting schools and daycares, and teaching clients about pet care. Her love for her career shines through her excellent veterinary skills and compassionate care for every one of her patients. Aside from being a veterinarian, Dr. April is also a proud Army wife and mother of three amazing children. Dr. April rounds out her family with a quirky Pomeranian and one lazy kitty. 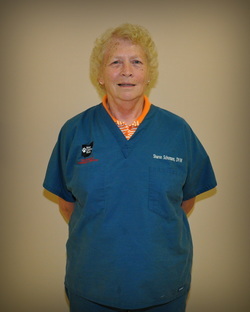 Dr. Sharon Schumann is also a graduate of The Ohio State College of Veterinary Medicine and joined the West Central Ohio Veterinary Emergency Services in 2012. Her 16 years as a clinician for the Dayton Emergency Veterinary Clinic has brought a vast amount of knowledge in emergency surgery and medicine to our team. She also operates her own small animal practice in Wapakoneta, Ohio, as well as provides her surgical services to a local animal rescue. Dr. Schumann has a son in Cincinnati who works in computer technology. Her daughter operates the family farm, raises beef show cattle, and has a freezer beef company. In her spare time, Dr. Schumann can be found working at her commercial sheep operation.